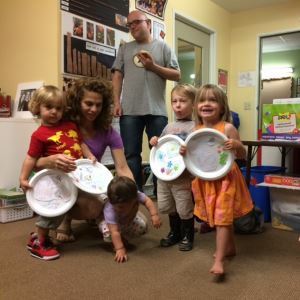 The Sholem School has increasingly become a magnet for unaffiliated, progressive, secular Jews and intercultural families looking for a vibrant community for themselves and their children. Established in 1952, the school engages children in an exploration of Jewish identity rooted in Jewish cultural literacy and traditions of social justice. 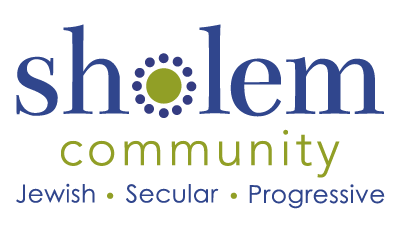 At the Sholem Community, families from a variety of religious and ethnic backgrounds, Jewish and non-Jewish, feel welcome, and participate in all levels of the organization. We are also proud to be an open and affirming community for LGBTQ families. The school meets most Sunday mornings during the school year. Sundays, 10:00 AM to 12:30 PM. Meeting dates are available on our calendar. The Westside Neighborhood School, 5401 Beethoven Street in Marina del Rey. 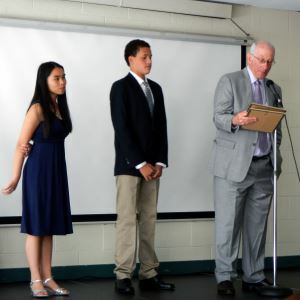 The principal and education director, along with a professional staff of six classroom teachers and two music teachers, create a learning environment that focuses on active, project-based learning. Meet our Sunday School staff. A curriculum that emphasizes Jewish history, culture and progressive ideals which shape our identity and values as a people. Creative and analytical modes of expression of self, identity, and culture. We strive to keep our fees as fair and affordable as possible. We have a policy of not turning anyone away for financial reasons. Click here for 2018-2019 School Registration and Tuition. Parents direct staff selection, curriculum planning, and school policies. Classroom parent volunteers help connect parents with each other, the classroom teacher and the Sholem community at large. Besides a paid school staff, Sholem is run entirely by its members. 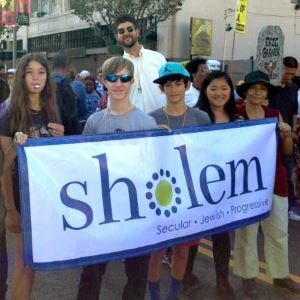 As a progressive organization which stresses social responsibility, Sholem encourages students and members to participate in our Social Action Program. There are many cultural identities within the Jewish world and within each of our individual families. The curriculum celebrates Yiddishkayt (“Jewishness”) and its influence on American Jewish culture and politics, while introducing children to the varied histories, traditions, sounds, and tastes of Jewish cultures from around the world. The Sholem Sunday School gives children a “taste” of Yiddish and Hebrew, as well as other languages spoken by the Jewish people such as Ladino, especially through the music classes. 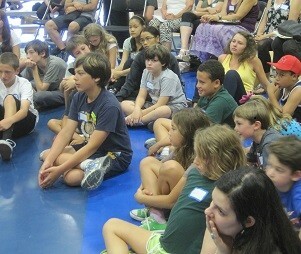 Our schedule does not allow for a more comprehensive Hebrew or Yiddish language program. By providing exposure to these languages, it is our hope that students who are motivated to learn more will seek out other opportunities for further study.